This sweet senior dog is Boscoe. He's a 9 year old black and white Australian Cattle Dog mix. Boscoe is a gentle, mellow soul who walks nicely on a leash. He loves people and is looking for a loving forever home where he can spend his golden years. 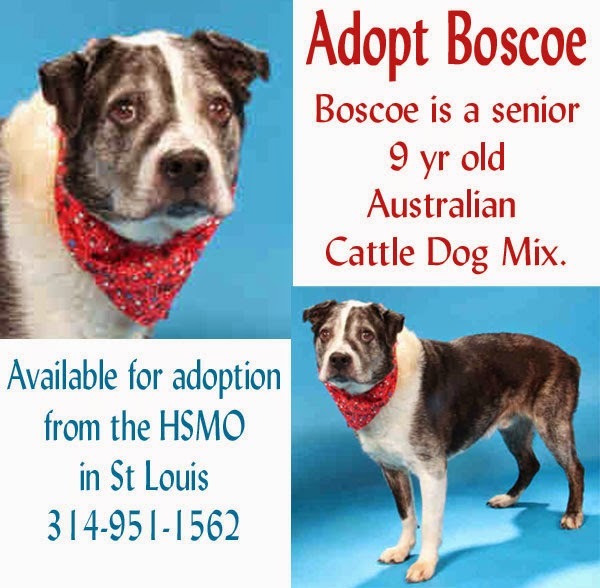 Have a look at Boscoe's adoption video and then contact the Humane Society of Missouri's St Louis City animal shelter at 314-951-1562. Boscoe's animal ID number is A582109. Bosco is such a sweet and handsome one! 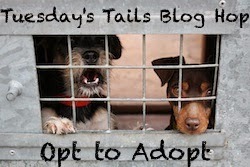 We will share! What a great picture of Bosco! He is a very handsome gentleman. I love the name Bosco! ♥ He is simply adorable. Sharing.